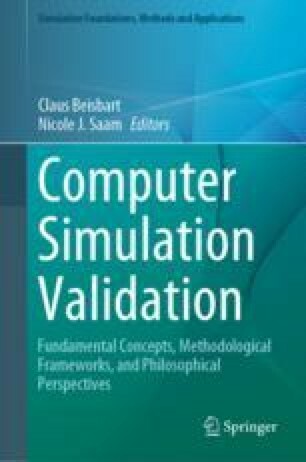 This article presents a sociological perspective on the stakeholder approach to simulation validation using the validation of socio-ecological simulation models as an example. I develop an argument-based approach to simulation validation which can be applied in the natural and social sciences and argue that it is the constructionist camp of action researchers which has to consider the stakeholders’ judgements as an indispensable point of reference for simulation validation. Only the stakeholders can validate that the model makes explicit their tacit knowledge. Only the stakeholders’ willingness to accept and act upon the scenarios can decide issues of credibility. Obtaining the stakeholders’ judgements in such a framework is an iterative communicative procedure that requires a strong background in qualitative methods of empirical social research as well as gaming simulation. Barreteau, O., Bousquet, F., & Attonaty, J. M. (2001). Role-playing games for opening the black box of multi-agent systems. Method and lessons of its application to Senegal river valley irrigated systems. Journal of Artificial Societies and Social Simulation, 4. http://jasss.soc.surrey.ac.uk/4/2/5.html. Dray, A., Perez, P., Jones, N., Le Page, C., D’Aquino, P., & Auatabu, T. (2006). The atollgame experience: from knowledge engineering to a computer-assisted role playing game. Journal of Artificial Societies and Social Simulation, 9. http://jasss.soc.surrey.ac.uk/9/1/6.html. Moss, S. (2008). Alternative approaches to the empirical validation of agent-based models. Journal of Artificial Societies and Social Simulation, 11, http://jasss.soc.surrey.ac.uk/11/1/5.html. Weidemann, D. (2009). A cultural psychological approach to analyze intercultural learning. Potential and limits of the structure formation technique. Forum Qualitative Social Research, 10, 43. http://www.qualitative-research.net/index.php/fqs/article/view/1246.